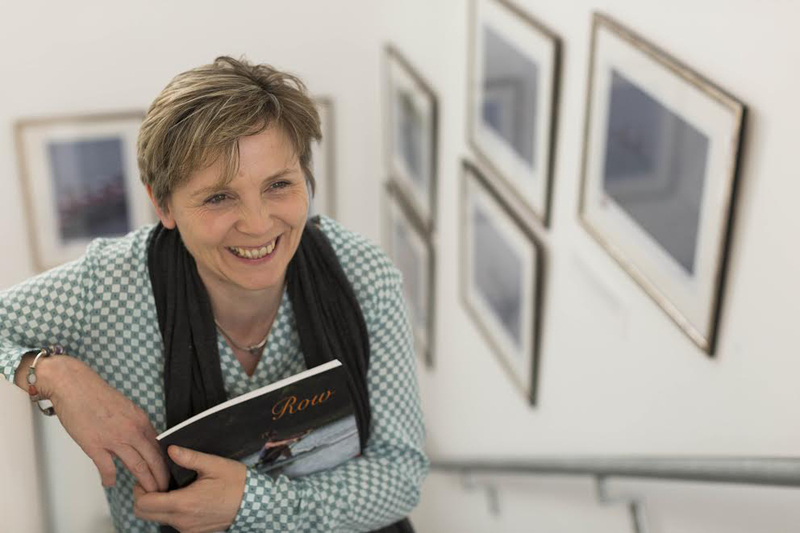 Row, a fundraising exhibition for Skibbereen Rowing Club. Each framed photograph in the exhibition is limited to one print/edition only. The accompanying publication Row is a limited edition and is also available for sale. All proceeds from sales go towards raising funds for the club to help ensure that Skibbereen Rowing Club can continue to provide the foundation for the best athletes in the world. Uillinn is delighted to present this exhibition of photographs of the highly successful Skibbereen Rowing Club by Debbie Heaphy. Debbie has been recording the activities of Skibbereen Rowing Club for the past four years, often accompanying coach Dominic Casey in his launch on early morning training sessions. She says 'having spent the last four years with these athletes, I am totally in awe of the resilience, focus and commitment of these young people. I have watched them strive to achieve what, at times, would seem to be unreachable goals'. 2015 was a very successful year for the club with seventeen Skibbereen athletes rowing for the Irish National Squad, and two rowers, brothers Gary and Paul O’Donovan qualifying in September for the 2016 Olympic Games in Rio de Janeiro. Shane O’Driscoll, Mark O’Donovan and Denise Walsh still have a chance to qualify. This exhibition has been made possible through the support and generosity of many people - Bob Clarke and his team at Sign Studio, Skibbereen; James O’Mahony and Pearce Hickey of Pierce Hickeys, Skibbereen; Sebastian Peters of Quality Wood Mouldings; Sean McDonagh of Acorn framers; Dominic Casey of Marsh Media; Union Hall Computers and Paul Heaphy of Casey’s Bar, Union Hall. Each photograph is priced at €250 and is a once off print of this image. The publication Row was priced at €15 for the opening night and €20 thereafter.